Vanguard Cleaning of Minnesota | Dependable customized contract cleaning services. Together with our franchisees, Vanguard Cleaning Systems of Minnesota offers a wide range of contract cleaning services for commercial office spaces, places of worship, multi-tenant office facilities, private and charter schools, professional offices, dental offices and more. Many companies’ contract cleaning service rates are based purely on your building’s square footage. In our experience, customers see more value in a rate based on the time it will take to clean the spaces and surfaces they choose. We will also recommend a cleaning frequency based on your facility’s traffic and other factors. Our customers’ buildings are cleaned once a week, seven days a week or something in between. After walking through your facility, we will customize a cleaning schedule and scope that fits your team’s unique needs, preferences and budget. Once you accept our quote, our new customer on-boarding process is designed to make your experience as smooth and easy as possible. Let’s get started on your contract cleaning services today! 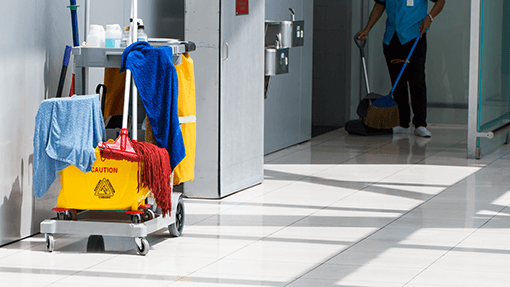 There are many things to consider before choosing a commercial deep cleaning service that's right for your building and the people who spend time there. For example, what's right for a small office is not a good fit for a high traffic public building.